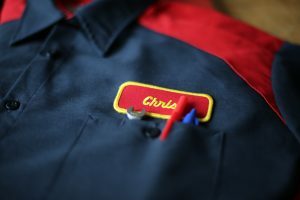 We’ve been keeping the American workforce dressed for success for over 90 years. At Domestic, we care about your image as much as we care about our own. That’s why we press every shirt and every pant for every customer, every day. We want our customers to always look and feel their very best. 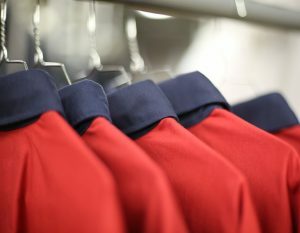 We work diligently to maintain your garments, and operate by the credo, “If we wouldn’t wear it, neither should you.” Our triple-check inspection system identifies needed repairs, as well as garments needing upgrades, and those are all completed before your next delivery, so you can count on the same high quality week after week. Let us show you the Domestic Difference by designing a program that meets your needs, including professional emblems for your company to create the image you deserve.